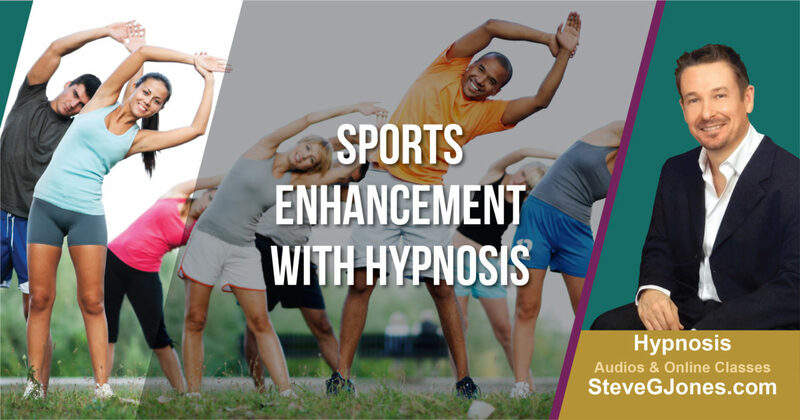 I spend a lot of time talking about the many benefits of hypnosis, so it should come as no surprise that hypnosis can help improve your sports performance. It has long been known that sports are about 90% mental, yet most athletes spend 99% of their time working on the physical. Those athletes who focus on visualizing their success do better than those athletes who simply practice their skills. By using hypnosis techniques, athletes can boost their performance and achieve their goals faster. Since hypnosis creates a trance state, which can be guided to focus on one specific goal. This extreme focus allows the conscious mind to take a back seat, and the subconscious mind can then absorb the information and suggestions to help improve your skill. Once you reach a trance state, a hypnotherapist guides you through mental imagery. It’s much like meditation, except hypnosis incorporates suggestion so your subconscious not only believes what it’s seeing in your mind’s eye, but it also develops a positive learned response. Essentially, you become more successful in sports because your subconscious mind expects nothing less. A hypnotherapist uses anchoring techniques to help create a neuroassociation between your athletic equipment and your focus and concentration. For example, if you play golf, the therapist might create a link in your mind that generates a feeling of intense focus and concentration anytime you pick up one of your clubs. You instantly feel yourself succeeding at every game. This process can work with any piece of equipment or sport whether it’s tennis, bowling, or even karate. Hypnosis for sports enhancement often gives athletes a form of tunnel vision. In this state, athletes tune out everything that is not related to helping them succeed. This includes negative self-talk, the negative opinions of others, distractions, or anything else that takes them from their focus. Hypnosis helps you dig deeper into the game by helping you see it in your mind. Your brain can’t tell the difference between visualization and reality, so visualization gives you an advantage that far too many athletes take for granted. Hypnosis allows you to achieve visualization with sharp focus and concentration, and then translates it to success in your sport.